May 2nd Shot in the Studio? 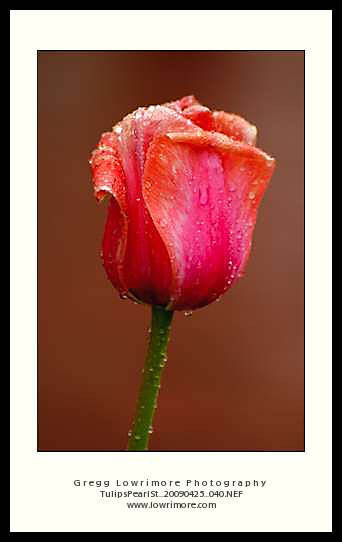 Below is the same Tulip, shot out on the Pearl Street Mall, but using two different backdrops. It’s very handy bringing along a black drop clothe on these shoots! But I think I found the perfect backdrop for the all natural first image. I can’t decide which background I like better. 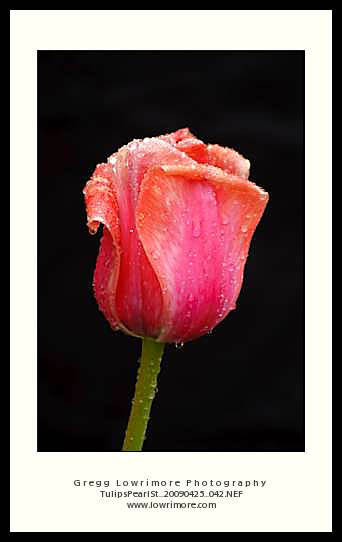 The first image’s natural background is quite complimentary to the color shades in the Tulip. While the black background in the second image yields a more traditional, almost fine art looking image. Which do you prefer? Leave me a comment below. Posted in Fine Art and tagged boulder, colorado, Pearl Street Mall, tulips by greggl with no comments yet.